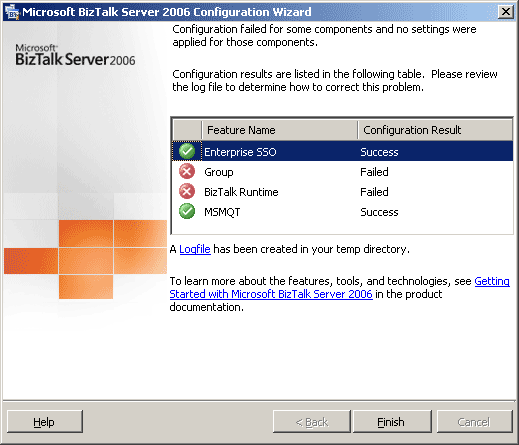 While you’re configuring Microsoft BizTalk Server 2006 which has a database server on a remote machine, you may encounter the problem below. The Group feature failed and hence the others which depend on it are also failed. Exception of type ‘System.EnterpriseServices.TransactionProxyException’ was thrown. 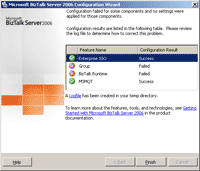 This error indicates that MSDTC isn’t properly configured on the servers so you have to check if MSDTC has enabled on both BizTalk Server and SQL Server. 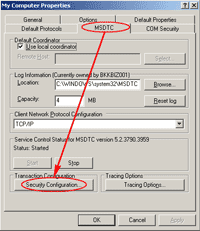 You should first enable DTC, followed by MSDTC. Step-by-step to solve exception of type ‘System.EnterpriseServices.TransactionProxyException’ was thrown. 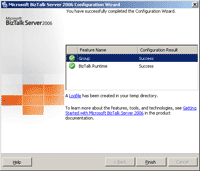 First, enable network DTC access on BizTalk Server. Open Add/Remove Windows Components by click Start -> Settings -> Control Panel -> Add or Remove Programs -> Add/Remove Windows Components. 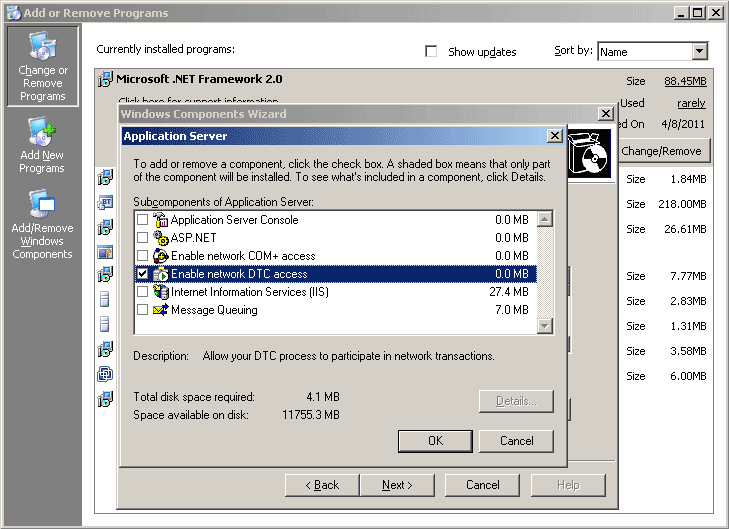 On Add/Remove Windows Components window, select Application Server -> click Details -> Check Enable network DTC access -> Click OK. Now DTC has been enabled. Note: This step may requires Windows Installtion CD. Next, enable MSDTC. Open Component Services by Start -> Setttings -> Control Panel -> Administrative Tools -> Component Services. 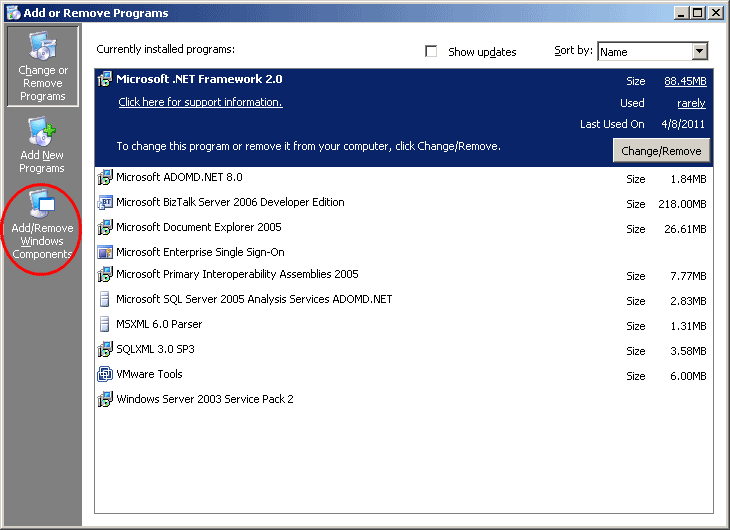 On Component Services window, expand Component Services -> Computers. You’ll see My Computer. Right-click on My Computers and select Properties. 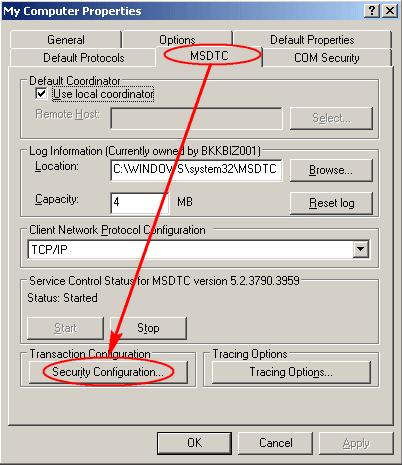 On My Computer Properties window, select MSDTC tab and click on Security Configuration button in Transaction Configuration section. On Security Configuration window, verify that check boxes are checked as the figure below. Then, click OK. 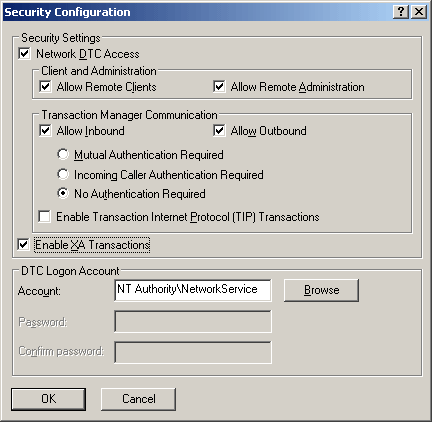 In Security Settings section, check network DTC Access. 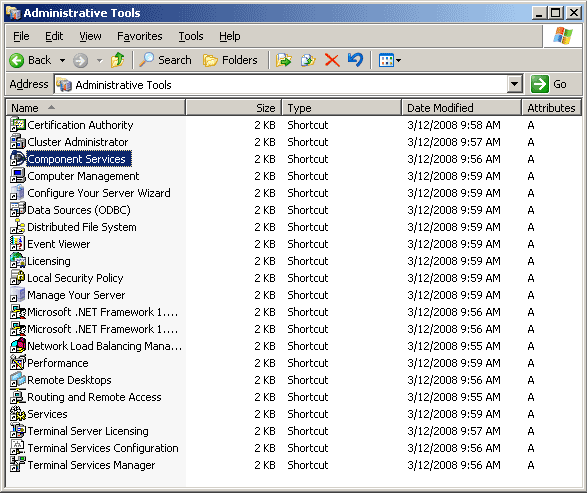 In Client and Administration section, check Allow Remote Clients and Allow Remote Administration. 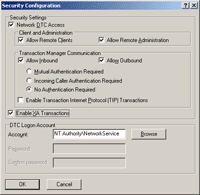 In Transaction Manager Communication section, check Allow Inbound, Allow Outbound and select No Authentication Required. Click OK to restart the MSDTC service. When the service is restarted, click OK again. Now you’ve finished on the BizTalk Server. Next, enable MSDTC on the SQL Server by repeat step 3-10 on the SQL Server. Then, try to re-configure on the BizTalk Server again. Now, it’s should be success.